Is the Tree Dead or Dying? Generally, the best course of action is to remove a dying tree before it fully dies and starts decaying. A dead tree becomes a great risk to people and the surrounding property, as it could fall at almost any time. If you happen to have a dying tree in your yard, then you have a very good reason to call a tree removal service. Is the Tree Difficult to Maintain? 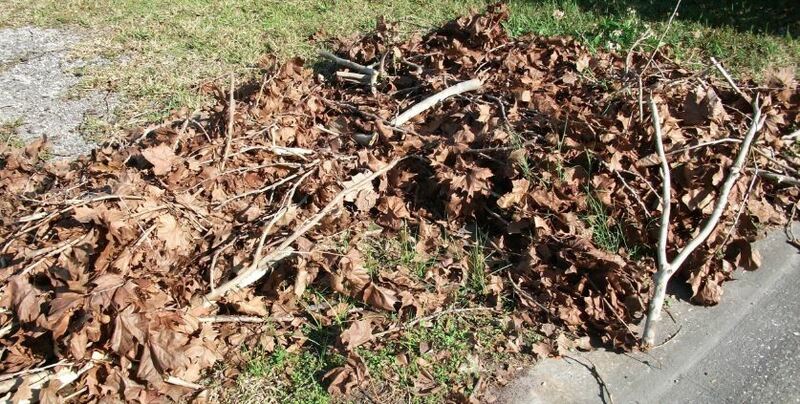 A tree can produce a lot of dead leaves, falling branches, limbs and sticks in the yard. The debris may need to be picked up and removed on a semi regular basis. This may also prove to be time consuming and expensive. In this case, cutting down a tree may make sense. Is the Tree Disturbing Power Lines? If your tree happens to be encroaching on power lines, trimming or pruning may be a remedy. However, if the trunk of the tree is growing up into power lines, the better decision is to cut the tree down. Is the Tree Disturbing Your Neighbors? All of the reasons above could be reasons why a tree may be a nuisance to your neighbors. Selective trimming and pruning may be an option, but a dead and dying tree will have to be cut down to avoid potential property damage. Call the pros at Atlanta Tree Professionals to learn if cutting down a tree makes sense. ATP brings quality tree care service to your GA home. We are your tree service experts serving Sandy Springs, Roswell, Marietta and north metro Atlanta. We’re also a member in good standing with the Tree Care Industry Association, which sponsors the Tree Care Tips website for homeowners.